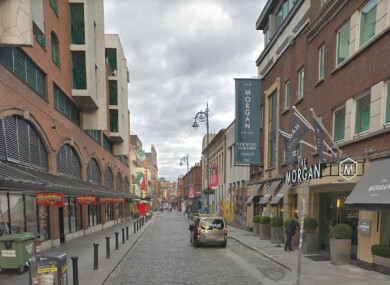 GARDAÍ HAVE APPEALED for witnesses following an alleged assault in Temple Bar earlier this week. The incident occurred on Fleet Street in Dublin city centre at about 2am on Monday, 7 January. A man in his 30s was treated for injuries to his face and head at St James’s Hospital but has since been released. Another man, also aged in his 30s, was arrested close to the scene and has appeared in court charged in relation to the incident. Gardaí have appealed for anyone with information or anyone who was in the Fleet Street/Temple Bar area around the time in question to contact Pearse Street Garda Station on 01 666 9000. Email “Appeal for witnesses after alleged assault in Temple Bar ”. Feedback on “Appeal for witnesses after alleged assault in Temple Bar ”.